You may be one of those homeowners who doesn’t know the next step after moving into your new home. But one of the best things to do is to really make it your own with a few customized touches here and there. A good way to start is by adding a custom deck with the help of reliable decking companies. There are a lot of deck designs out there, but if you work with decking companies in creating a custom deck for your home, you know that your backyard will be unique because you get to choose how you want your deck to look like. You can find inspirations online, but adding your personal touch to the design will make your home truly yours. If your house is not huge but you want to have a space for entertaining, a custom deck will work just right for you. Since your deck is built outdoors, you can still enjoy the privacy of your home while getting the chance to invite people to come over for barbeques, family dinners or neighborhood gatherings. You can talk with decking companies on how to set your deck to accommodate living and cooking areas, so you have separate spaces for eating and preparing food. You can even add a few extra features to your custom deck because everything is entirely up to you. A deck is a great place to hang out and enjoy the outdoors without leaving the comforts of your home. Just imagine sitting on your lounge chair with a book in hand on a fine summer day. You won’t need to go far just to get some relaxation in place. A custom deck is a great investment because it’s not only useful; it also increases the value of your property. 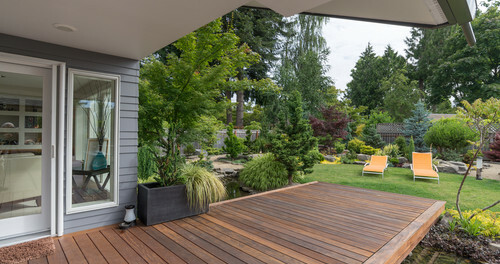 A lot of homebuyers are looking for extra features that make a home unique, and a deck is one of those extras that can easily attract them. So, in case you ever want to sell your home in the future, you know that you are getting a good price for it with the addition of your custom deck, especially if you work with the right decking companies. Finally, if you’re still on the fence about building a custom deck because of the expense, you’ll be glad to know that it’s not as pricey as you think. Compared to other renovations, adding a deck is inexpensive, especially if you find the right decking companies to get the job done for you. Plus, a well-built custom deck can last you for many years, which really makes it a wise investment for your new home.